This is a beautiful example of the work by Shaun & Sharla Hansen. 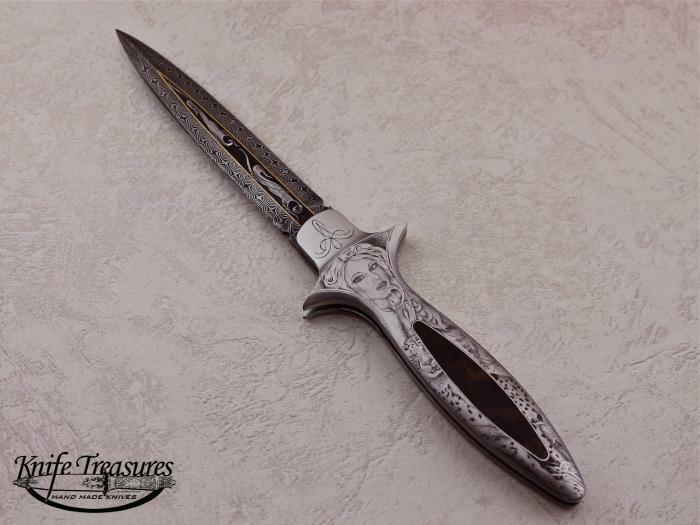 This beautiful Double Action Credit Card Auto folder has a blade made of double twist Damascus. 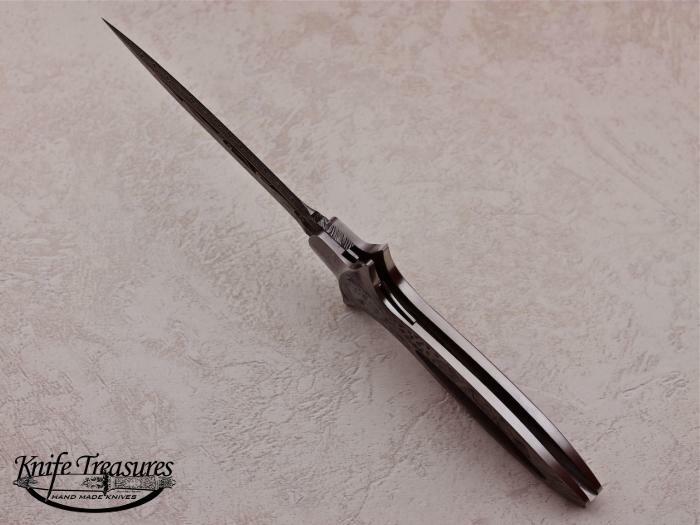 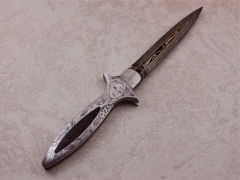 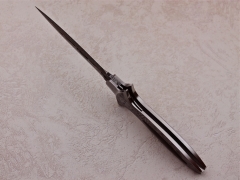 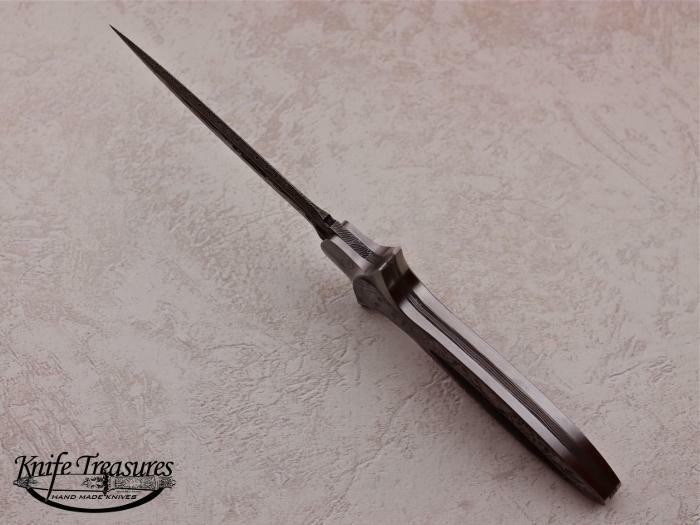 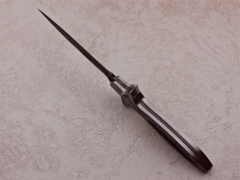 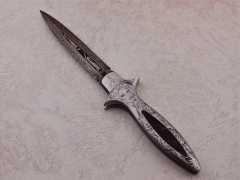 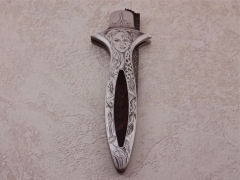 It has an Agate inlay and has been beautifully engraved throughout including the blade. 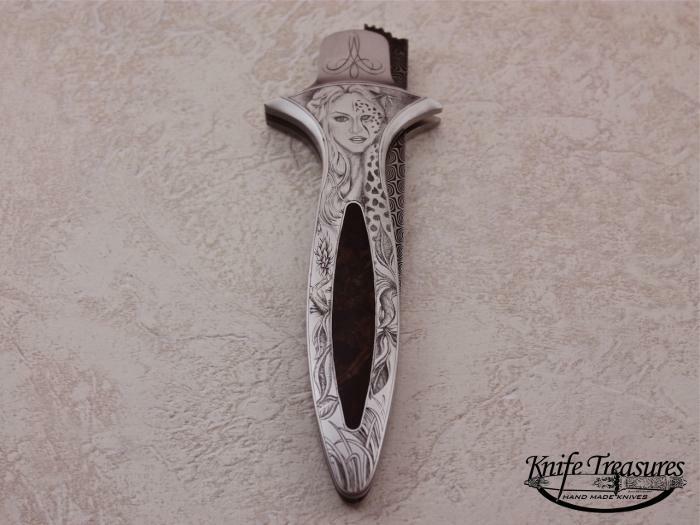 A great knife by an amazing couple.